Thanks to technology, intellect and our relationship with dogs, humans are at the top of the food chain, which it turns out comes with certain responsibilities. A new study published in the journal Science says the way humans are hunting by picking off the largest and most mature of a species is unsustainable. Our tendency to hunt the biggest baddest game around, becoming a “super-predator” of sorts, flies in the face of nature. The study analyzed 400 species in the oceans and on every continent and found that humans kill up to 14 times more adults than other animal predators. In nature, predators tend to hunt the youngest and most vulnerable. By hunting more mature animals that are in their reproductive prime, the study finds human hunting behavior to be unsustainable. “Contemporary humans can rapidly drive prey declines, degrade ecosystems and impose evolutionary change in prey,” according to the study. And if something isn’t done to more drastically manage those populations, the ecological results could be substantial. Lead author Chris Darimont, a conservation scientist at the University of Victoria in Canada called the behavior of human hunters as unnatural. “It’s not considering the hand of Darwin,” he told the Associated Press. The largest differences between natural predators and human hunters occurs in fishing. Richard Mthot, the science adviser for fish stock assessments at the US National Oceanic and Atmospheric Administration said the agency uses quotas to set fishing limits. 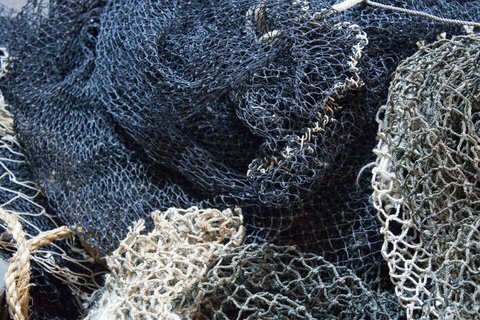 The agency “closely examines the balance of fishery impacts on young versus old fish and designs harvest rates that allow fish and shellfish to grow to sizes that produce seafood for the nation while preserving stock and ecosystem sustainability,” he said in a statement to the AP.